When you need to cover up those dark circles from your night at the speakeasy Bésame has the answer! 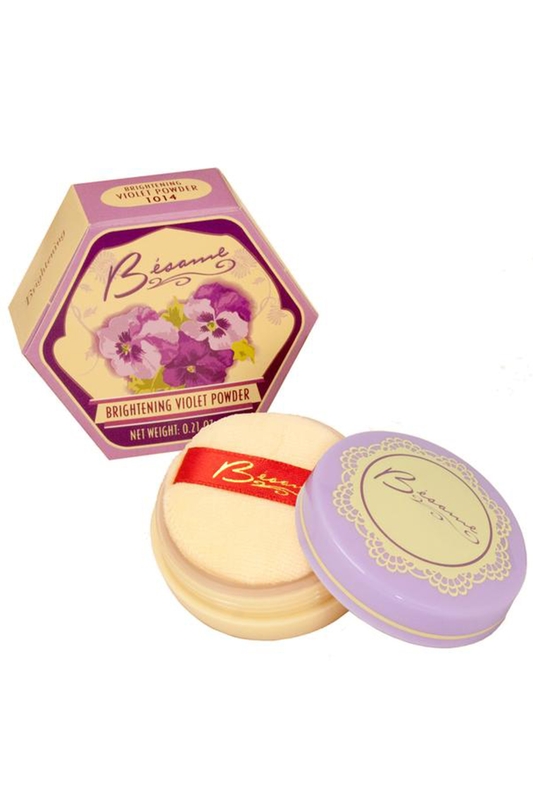 Their Brightening Violet Powder is a finely milled translucent powder with a delicate violet fragrance. That can be worn around the eyes to instantly lighten dark circles or to tone down yellow and red tones! Love the look? Check out the 1915 - Rose Delicate Rouge by Bésame!